Enhance your management capabilities with the Bachelor of Science in Management, Global Classroom program. To prepare you for a career in management, this program focuses on management functions, processes, and skills– enabling you to effectively respond to complex business and management challenges. The 21-month Bachelor of Science in Management Global Classroom is a degree-completion program designed to fit your lifestyle and your higher educational goals. This seven-term format attracts an internationally diverse audience and meets on-campus, allowing time for internships and other professional experiences. This program does not include book or meals. This accelerated program is designed for students who have completed an associate degree or equivalent credits (80 quarter hours or 60 semester hours), and who would like to complete their bachelor's degree at an accelerated pace. While students can transfer previous credits from any discipline, admission to the program requires successful completion of a course in financial accounting, college algebra or college-level math, Principles of Marketing and Introduction to Business or Introduction to Management. The Office of Admissions will work with applicants to evaluate and accept as many previously completed credits as possible. 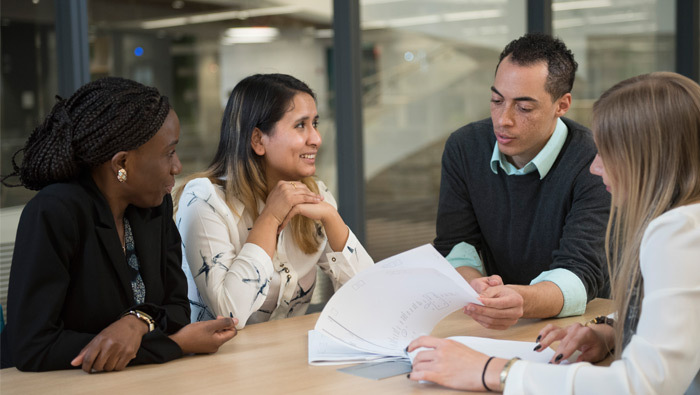 The Bachelor of Science in Management is also available for students who would like to complete this degree at their own pace, visit our Bachelor of Science in Management web page. Note: Students take either ITC 1000 or ITC 2016. Note: ENG 1103 and ENG 1104 are taken together. Note: ENG 2105 and ENG 2106 are taken together. Note: ENG 3107 and ENG 3018 are taken together. Given organization's continuous need for qualified managers, those with bachelor's degrees in management are well positioned to obtain a supervisory or mid-level management position. Specific job prospects, however, are highly contingent upon the industry that you choose to enter. Simply put, this undergraduate degree program is for students who wish to assume or move into a management position. A degree in management is universally applicable, and the skills you acquire can be applied in any number of organizations.